Many people have written heartfelt essays about the magic of skiing — how it takes us out of our sometimes drab everyday lives filled with responsibilities and routine, puts us in the middle of nature, and allows us to fly for a few minutes. If we’re lucky, the snow will be soft and the lift lines short. If we’re extra lucky (especially here in the northeast), we might score untracked powder. 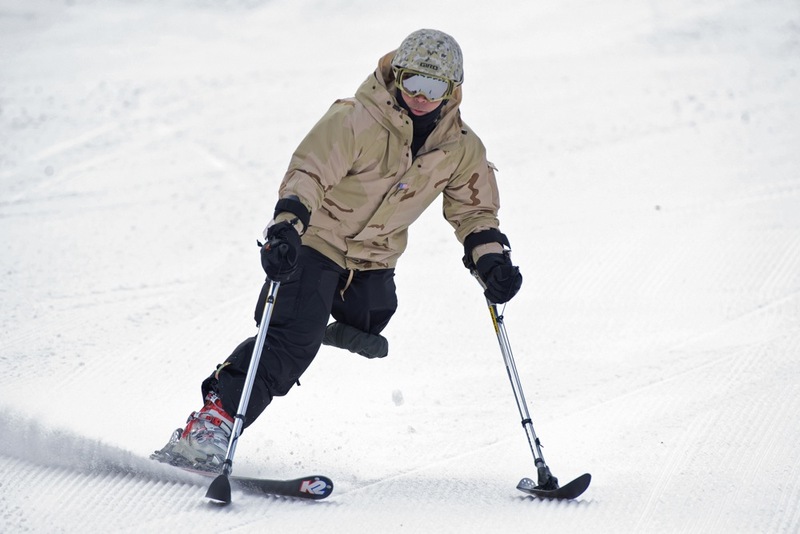 But this past weekend at Windham Mountain, the ninth annual northeastern Wounded Warriors winter event — where 31 servicemen and women who’ve suffered spinal-cord and orthopedic injuries, amputated limbs, and Post-Traumatic Stress Disorder (PTSD) came to ski and snowboard together with their families — gave me a new appreciation for skiing’s transformative power. The Wounded Warrior Project was founded in 2003 to help injured veterans transition back to civilian life after deployment in Afghanistan and Iraq. Leveraging privately-raised funding, it’s grown into a multifaceted program designed to enlist the public’s support for disabled soldiers, create a variety of services to meet their needs, and equally important, help them become resources for one another. 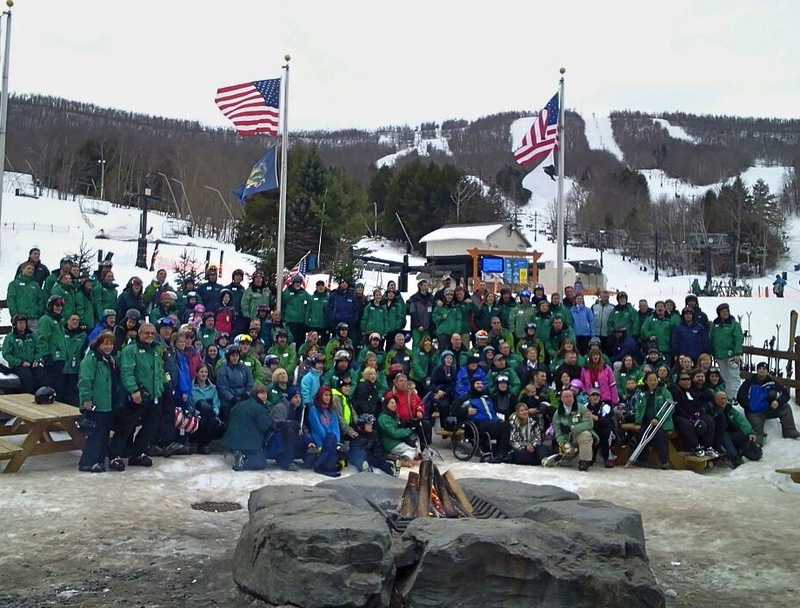 With the Adaptive Sports Foundation (ASF) at Windham Mountain as the project’s northeastern headquarters, the Wounded Warrior ski weekend provides veterans with an array of resources, including equipment and instruction. 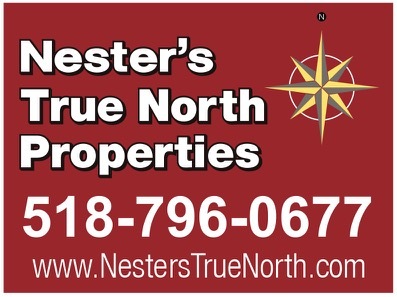 The resort acted as a full partner by providing free lift tickets for veterans and their families and friends, offering a half-price discount during the entire three-day event to any vet and a guest, and helping raise money for the ASF from skiers at the ticket booth. Over the course of the day, I saw a variety of adaptive equipment in use, including mono- and bi-skis, 3-track (one full size ski and two hand-held outriggers) for those who have lost the use of a leg, and 4-track (two skis and two hand-held outriggers) for people with some form of weakness in their legs. My first runs of the day were with Jim Kille, a veteran of four infantry tours in Bosnia and Iraq that left him needing 14 surgeries, including five on his back, two on his wrists, two different reconstructions of his left eye, and both knees. When doctors informed him in 2008 that he would probably not walk again due to brain damage from a roadside bomb that propelled a 30-pound chunk of concrete into his skull, like many veterans, he saw this potentially devastating prognosis as a life-changing challenge. 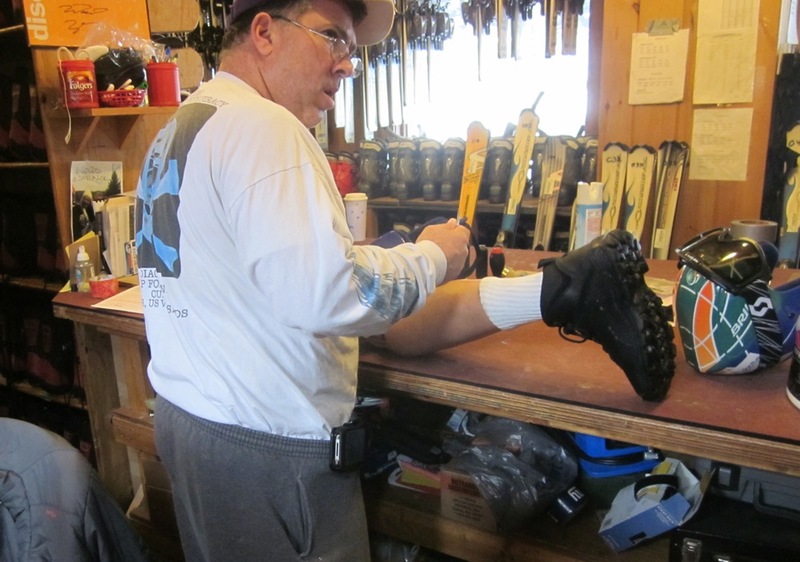 Even though he had never skied in his life, Jim got involved with the Wounded Warriors skiing program in 2009, prevailed over numerous physical and equilibrium issues, and now skis four days a week every winter. After our third run, we were joined by Iraq veteran Manny Piña. Originally from Puerto Rico (not exactly a hotspot for alpine skiing), Manny got involved with Wounded Warriors after losing his left leg in 2008. 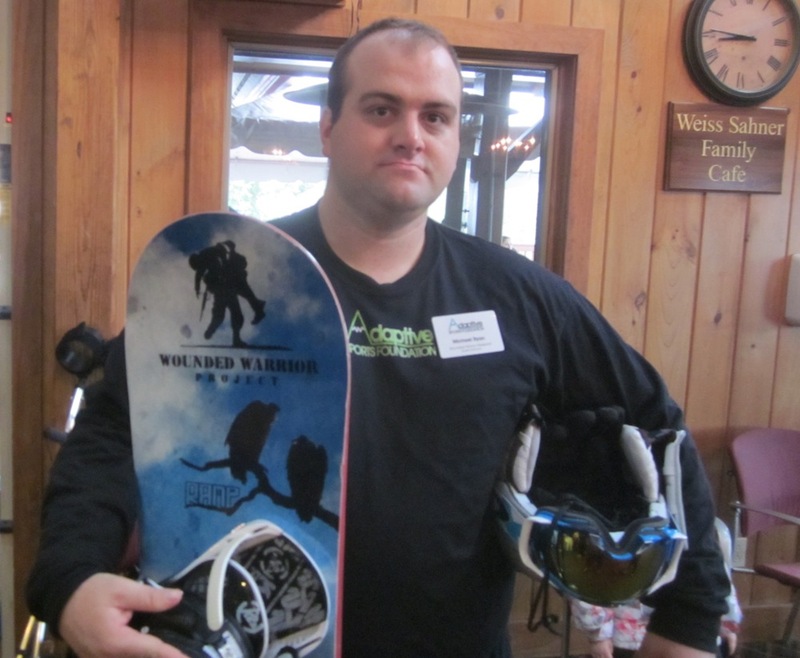 A Wounded Warriors event in Breckenridge, Colorado quickly transformed him into a passionate skier and he’s now a PSIA-certified ski instructor (Level 1 adaptive) with an extensive selection of funny quips that he’ll tee up for anyone within earshot. By the end of the day, it was very difficult not to be inspired by these brave veterans. I’d visited many ski areas with adaptive skiing programs and always came away impressed by both the students and instructors; however, hearing first-hand stories about what these courageous service people have gone through and seeing how far they’ve come showed me that skiing isn’t only about powder and vertical feet. Great to see that skiing/boarding can contribute to the rehabilitation of those who have sacrificed so much for our country. Whenever I see an adaptive skier, I think how great it must feel for them to be able to escape their disability and fly down the mountain. Kudos to them all. Thanks for writing this. Much needed. Thank you for sharing their stories, my husband, myself and my family were o this trip. The ASF truly makes a difference!!! Bravo. There can never be enough stories on this topic. For those of us who are able bodied and love the freedom of this sport, it is hard to imagine how the adaptive skiers/snowriders must feel gliding down the slopes, probably GREAT to the nth degree! I live in the Wash DC area and was at Walter Reed Medical Center in Bethesda, MD about a year ago taking my elderly dad (and a veteran) there for a medical appt. On that occasion we saw dozens and dozens of wounded warriors walking, hobbling, or rolling around the halls of the hospital. It hit both of us very hard just how many troops are still suffering devastating wounds all the time while serving duty in Afghanistan or elsewhere. These guys are almost all very young enlisted people under age 25. They have lots of life ahead of them with tremendous energy and hope. Getting them into something like adaptive skiing is just the sort of thing that keeps them looking ahead and positive. Awesome work by those at Windham and elsewhere that run these programs. Absolutely awesome. very cool, always love seeing the adaptive program at Windham.